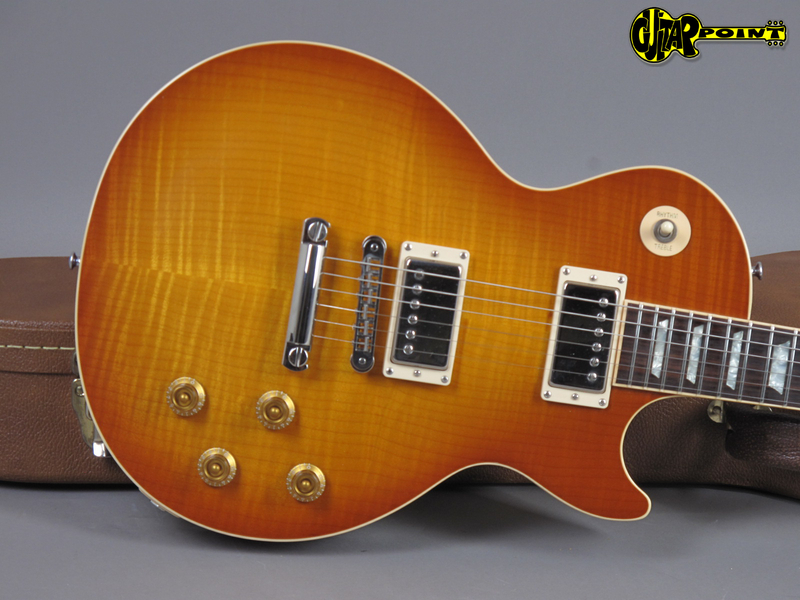 2003 Gibson Les Paul Standard Plus Light Burst - near mint! 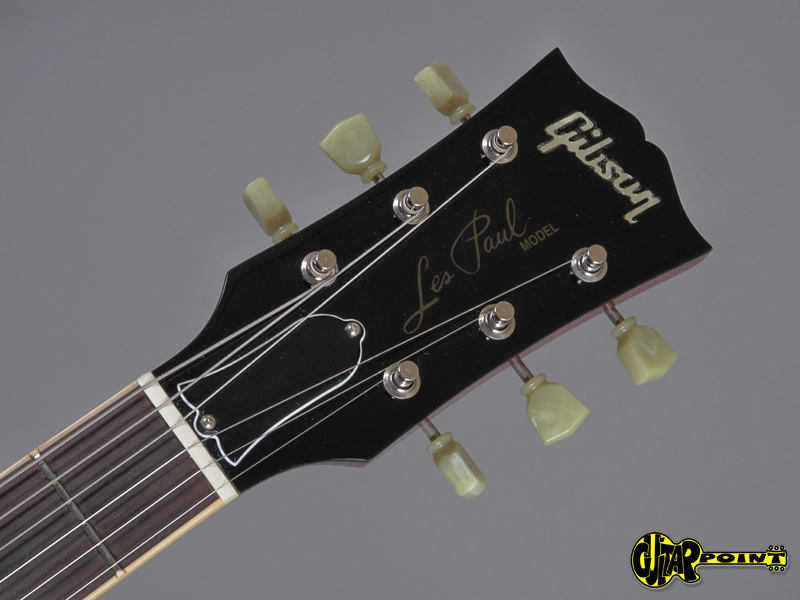 From a private collection and actually like a brand new guitar: This 2003 Les Paul Standard represents one of the last great eras before Gibson went into the "Robot-age". 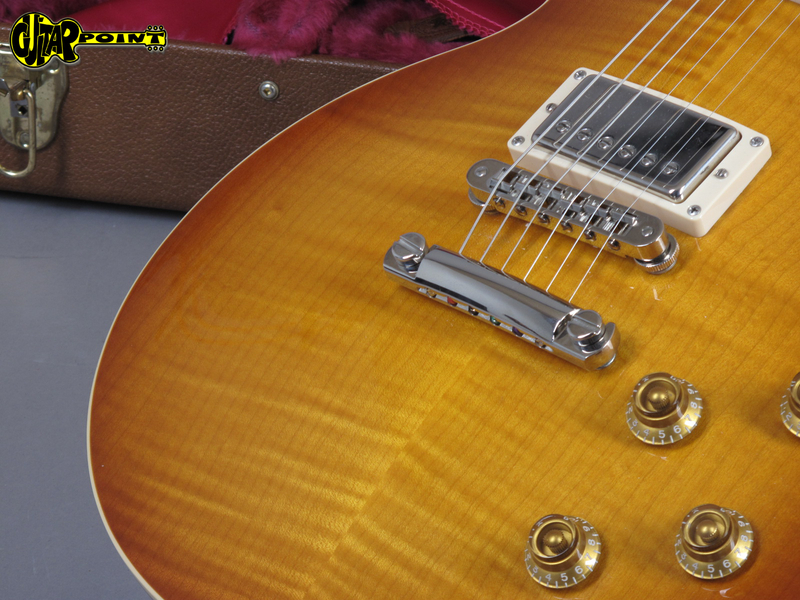 This is an honest Les Paul without any weird specs nobody really asked for. 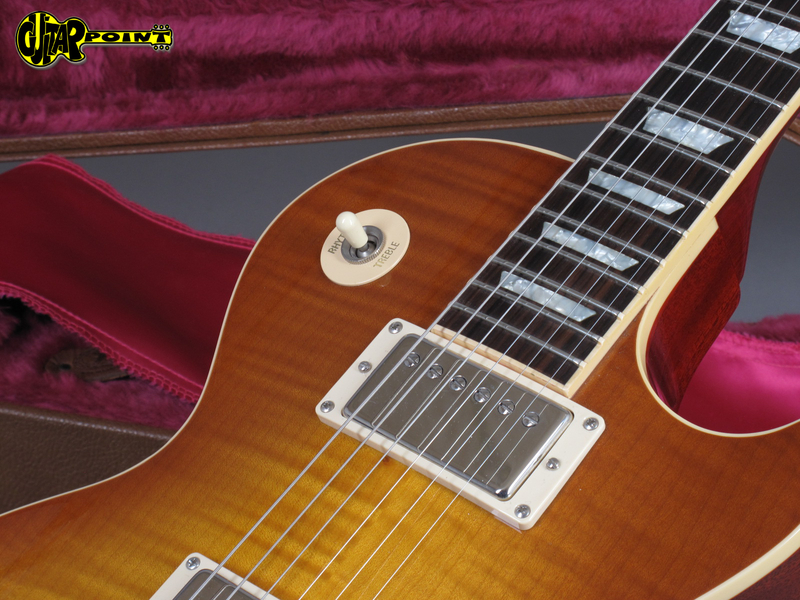 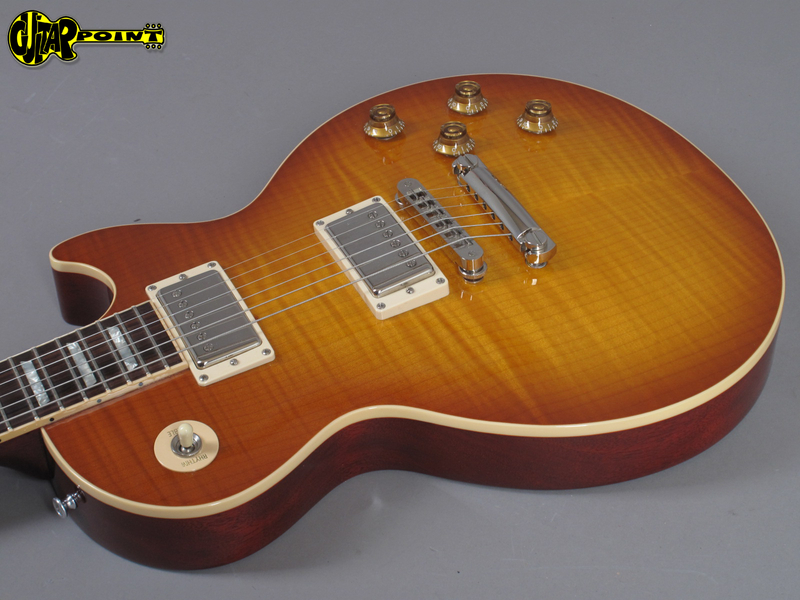 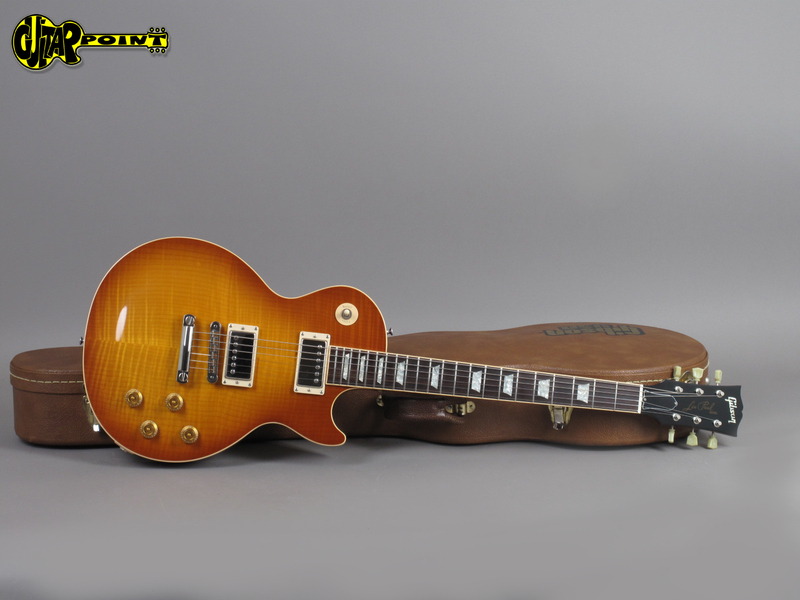 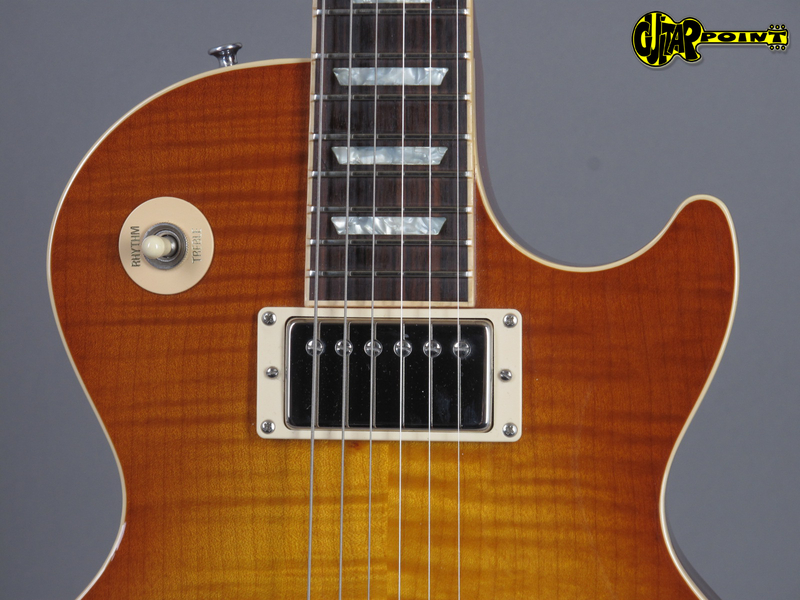 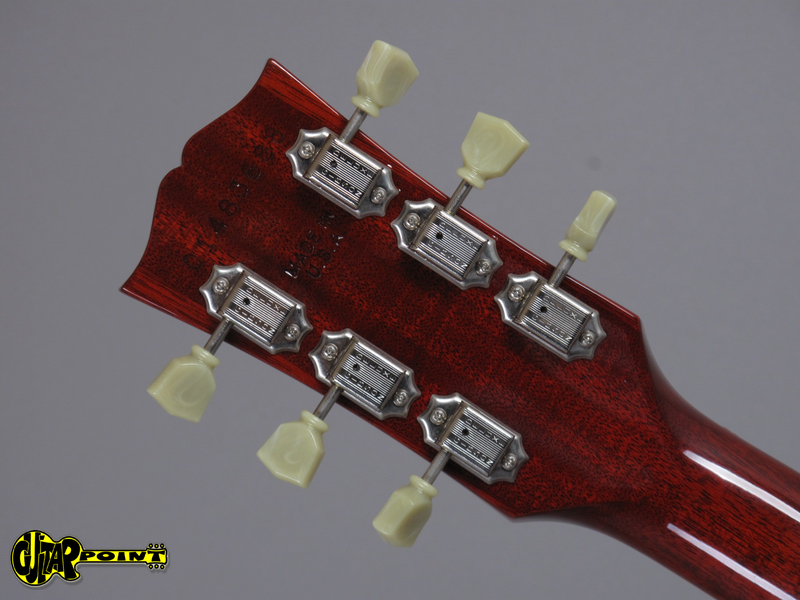 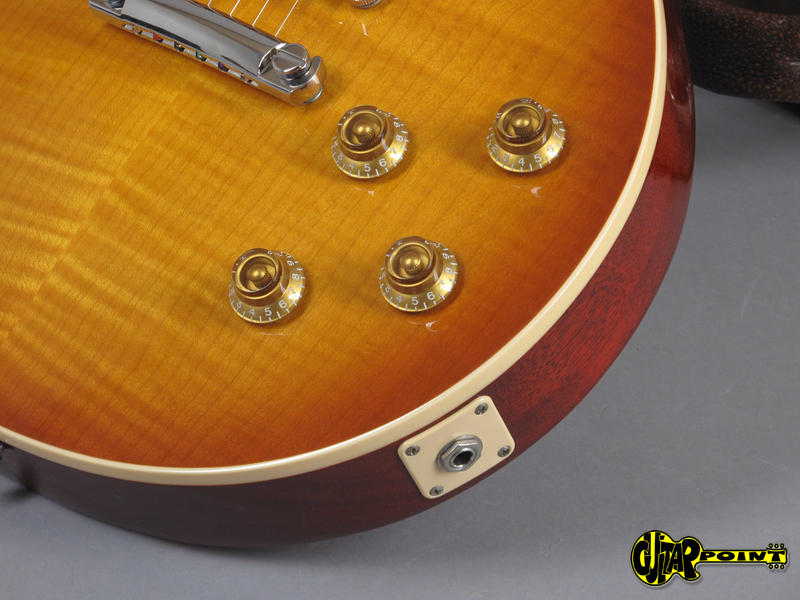 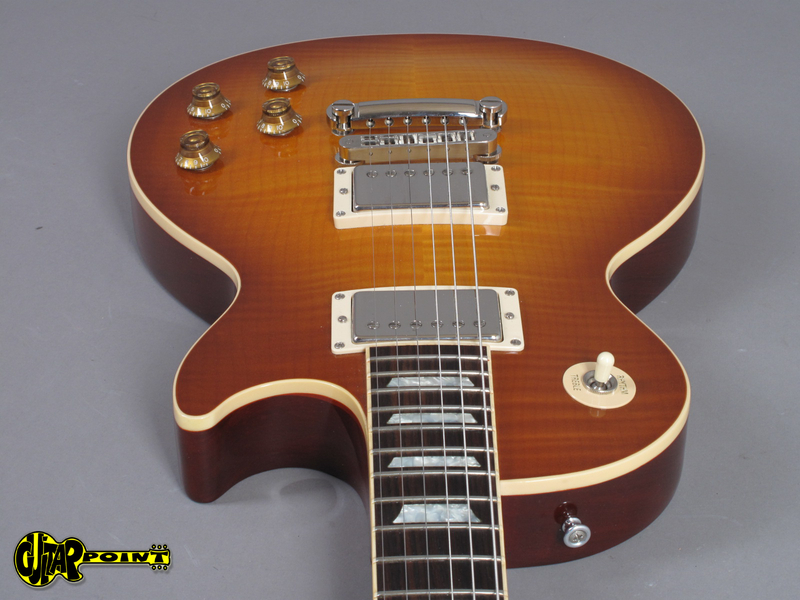 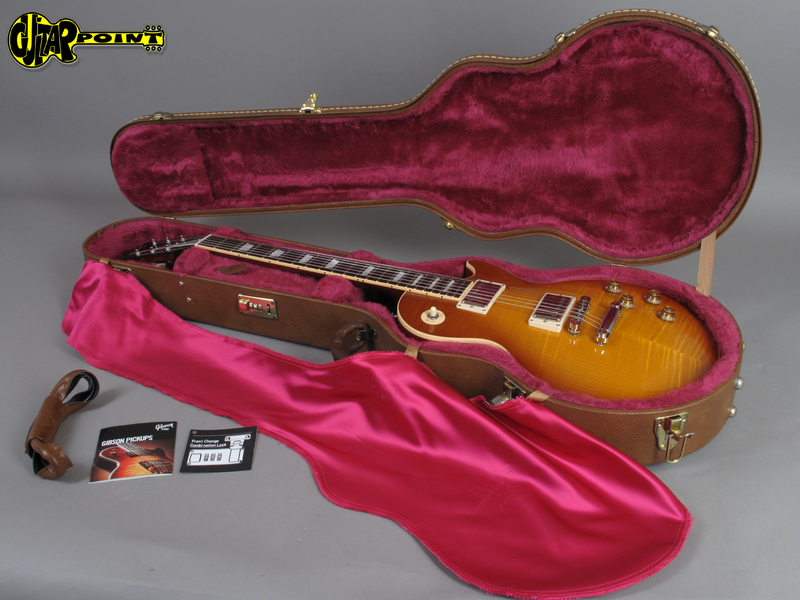 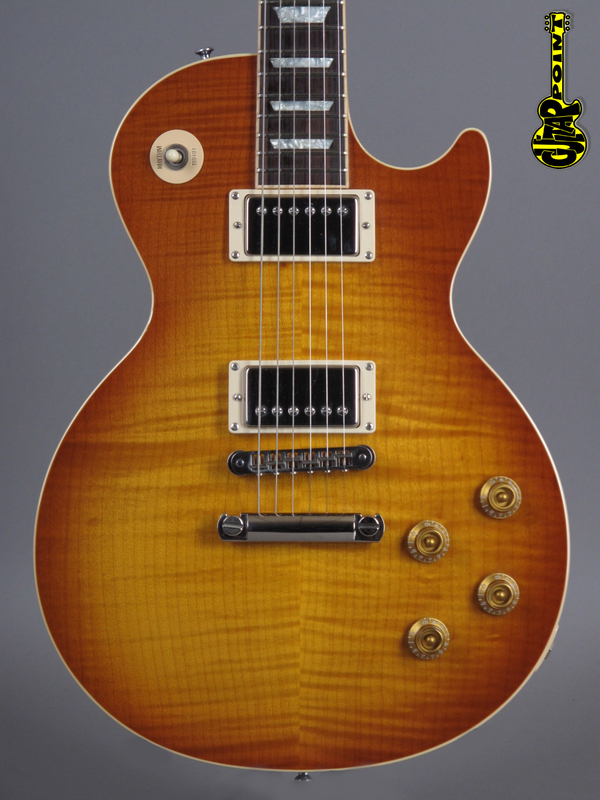 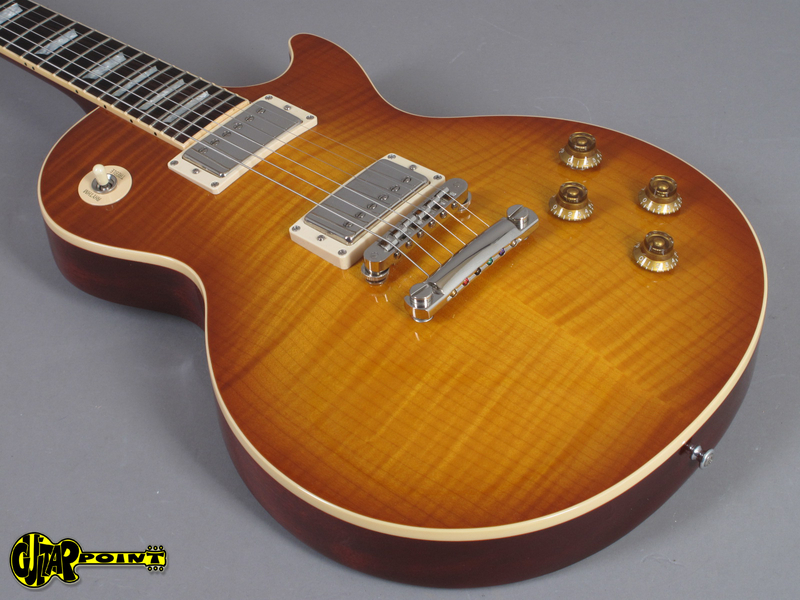 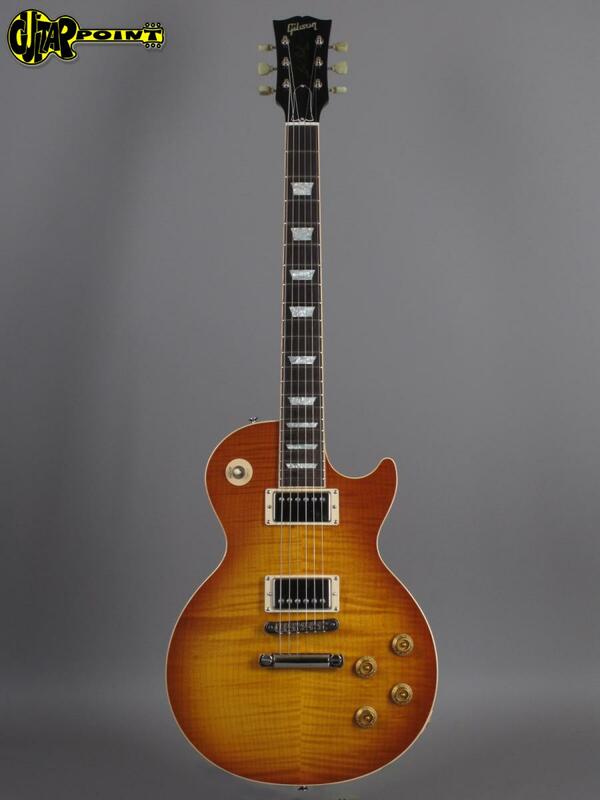 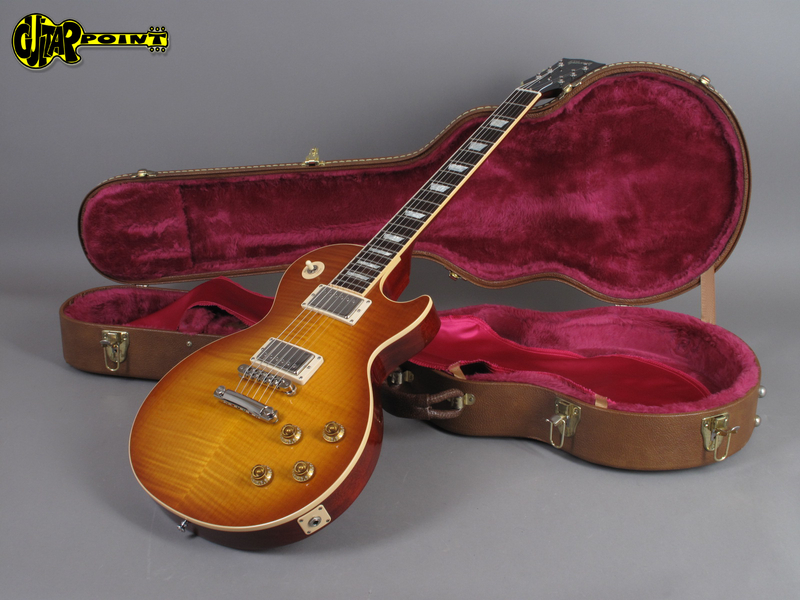 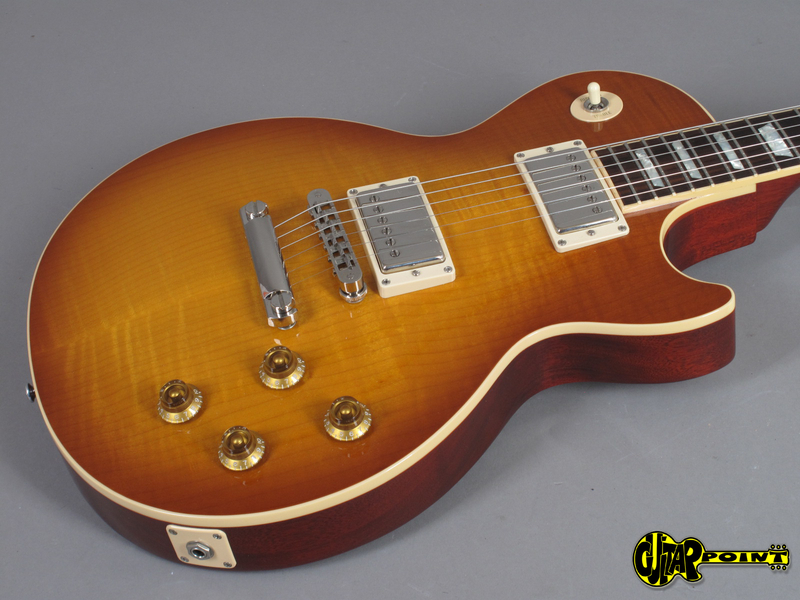 In 2002 Gibson changed the specs of the iconic Les Paul Standard model: The guitar was available with 50s or 60s neck profile and received the new "Burstbucker Pro" humbuckers which are wax-potted versions of the Burstbuckers but with AlNiCo 5 magnets and a higher output for fat vintage tones. 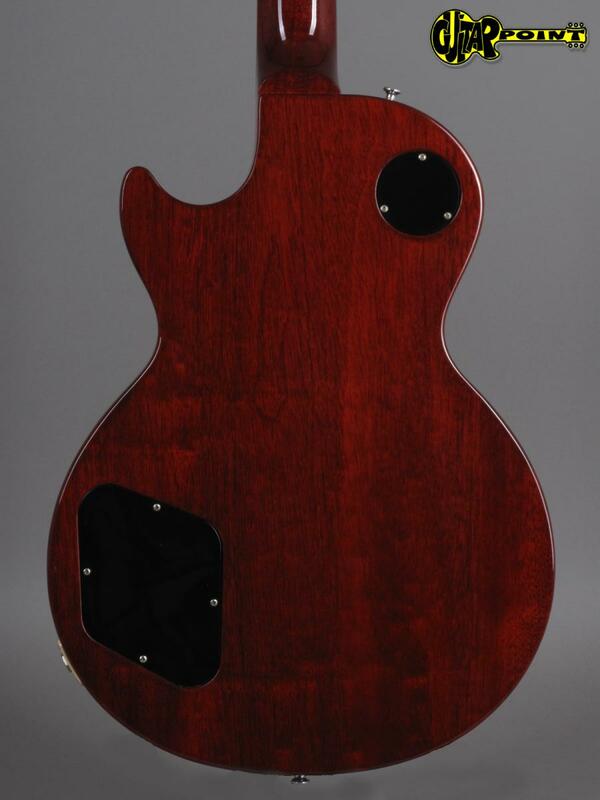 Also, the Plus version with highly figure maple top was available. 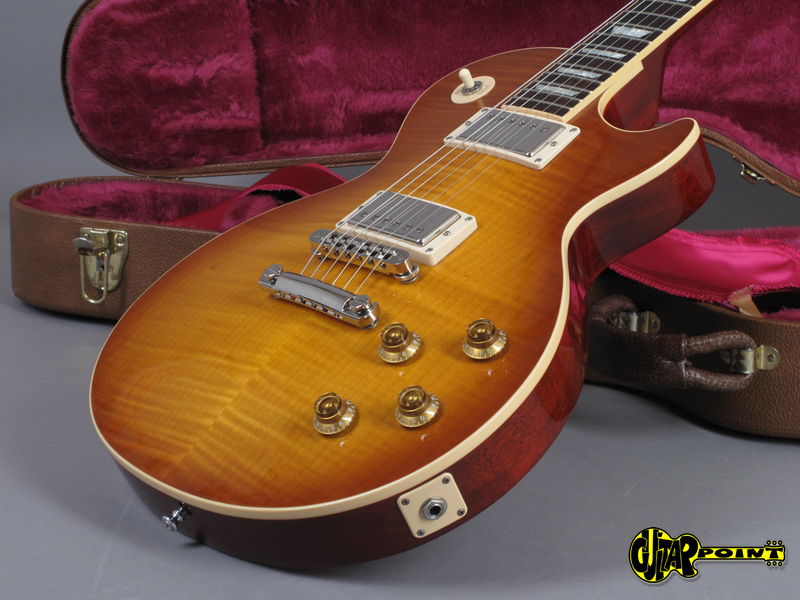 This guitar is the most famous model with the beefier 50s neck and the Plus version in the coolest color "Light Burst". 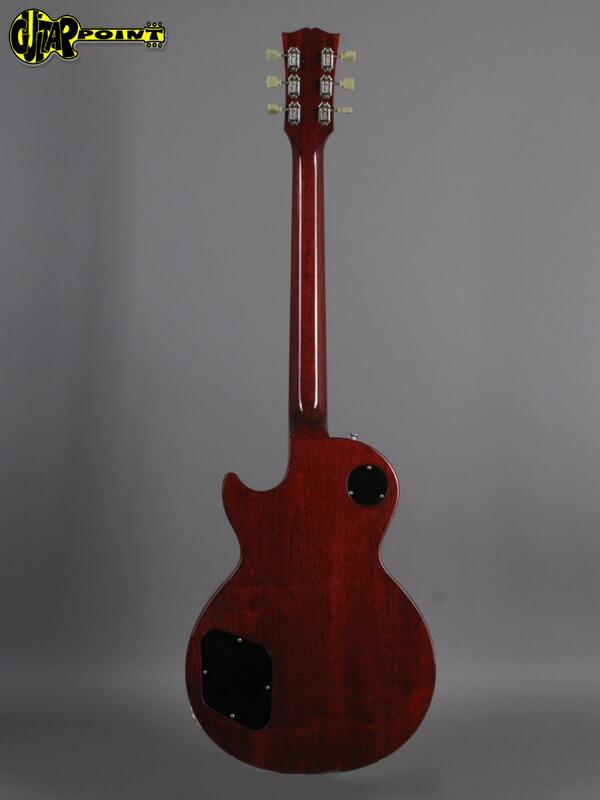 It looks almost like a brand new guitar and has almost no scratches and no playwear at all. 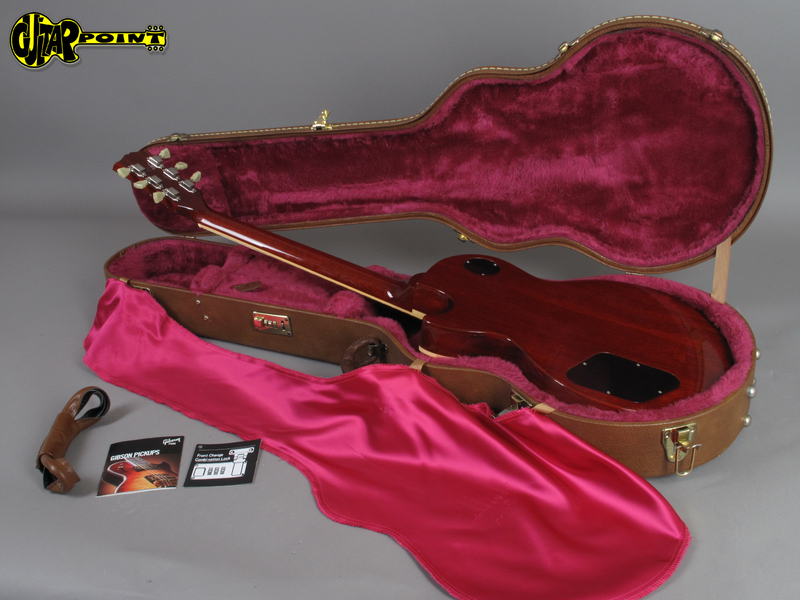 It come sin it's opriginal case - the former owner changed the handle but the original one is also included.